Goetzendorff (Holger), George Urdang (1882-1960), Images from His Life and Work, with a Foreword from Glenn Sonnedecker, Union Druck Halle, Buchdruckerei des Waisenhauses in den Frankeschen Stiftungen, 2000, 24×20 cm, 258 p. fig. et 91 pl. 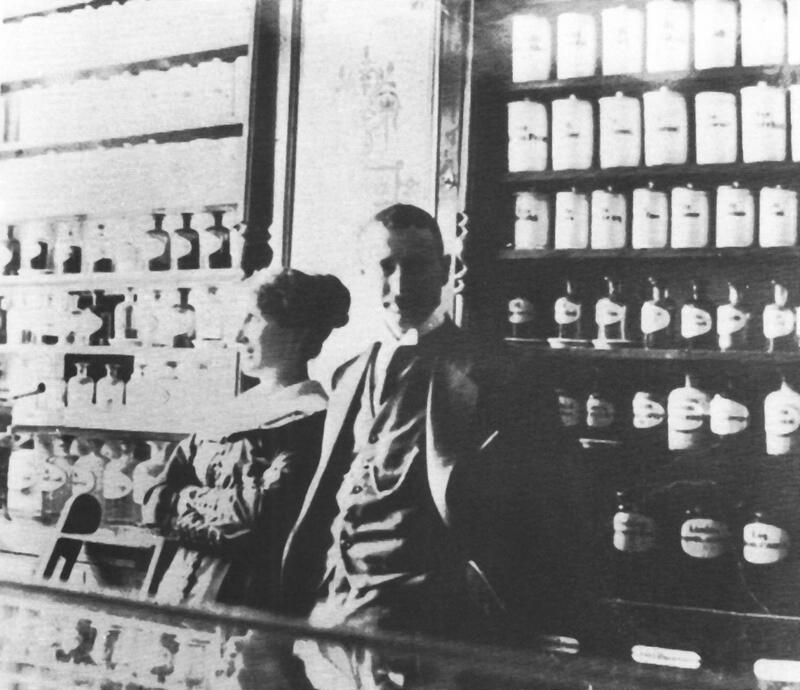 Né à Tilsit, d’abord pharmacien d’officine, émigré aux États-Unis, fondateur de l‘Institut américain d´histoire de la pharmacie, professor d’histoire de la pharmacie à Madison, premier président de l‘Académie internationale d´histoire de la pharmacie, auteur d’ouvrages d’histoire de la pharmacie novateurs et restés classiques, George Urdang revit pour nous à travers ce recueil de portraits, vues diverses, pages de titre et signature autographes qui illustrent sa vie et sa carriére professionelle et scientifique. Au fil des pages apparaissent les visages ou les noms de maintes personnalités de l’histoire des sciences de la santé, comme Henry Sigerist, George Sarton, Glenn Sonnedecker, Hans Dieckmann, Dirk-Arnold Wittop Koning, Guitard, Bouvet, etc. L’auteur a également réalisé sur Urdang une exposition itinérante et un CD-Rom. Holger Goetzendoff, George Urdang (1882-1960) Images from His Life and Work, With a Foreword by Glenn A. Sonnedecker. Translated by Anke Jagau (Halle: Union Druck, Buchdruckerei des Waisenhauses in den Franckeschen Stiftungen), 2000; 258 pp., Illus., includes bibliographical references and Index. In the 43-page “Introduction” of the book, the array begins with a string of quotations from H. George Wolfe’s 1960 appreciative outline of Urdang’s work and accomplishments. This is followed by a brief account of Urdang’s work in Germany and the United States, and this in turn is followed by a survey of Urdang’s publications in which the titles of his books are prominently highlighted. The section ends with Urdang’s Curriculum Vitae. All of this is repeated in German. The remainder of the book, divided into six chapters (The Pharmacist, The Editor, The Emigrant, The Professor, The Supervisor, and The Successors) gives the book its subtitle of “Images.” It is a felicitous combination of photo album and memory book and must be a delightful nostalgic trip to anyone (like this reviewer) who knew, appreciated and esteemed Urdang, and who was active in the history of pharmacy during his period. It is, of course, replete with photographs of Urdang and his family, some going back to Germany. The feeling of nostalgia is heightened by the individual portraits of fifteen leading historians of the past who were friends and colleagues of Urdang, and portraits of his students and successors, Glenn Sonnedecker, Alex Berman and Norman Franke. In the many group photographs, seventeen more individuals who were or are historians of pharmacy or active in history of pharmacy movement are to be found. In addition, there is one particularly notable photograph of a 1949 group of 62 historians, members and guests (not just members as the caption states) of the Wisconsin History of Science Department. In short, this is a gallery of portraits and photographs that will be of interest to everyone in the history of pharmacy. There is no collection like it, particularly with an American emphasis. There is more to this section of the book. It contains copies of documents, of correspondence, and of title pages of Urdang’s books. There are also 18 pages of names of Urdang’s correspondents, and for most their autographs are reproduced. There is also a bibliography and a name index, an index that includes all the identifiable individuals in the photographs. This a timely book for one suspects that the present generation of historians, in Europe as well as the United States, knows the name Urdang mainly because of the medal which the American Institute of the History of Pharmacy has created in his honor. This book mirrors well the magnitude of George Urdang’s contributions to the discipline: his groundbreaking dissertation in the history of pharmacy; his prominent role the establishment of German, American, and international historical societies; his seminal publications, including his basic authorship of the peerless 20th-century volume on the history of pharmacy; his role in the establishment of a history of pharmacy program at the University of Wisconsin; his Professorship in the History of Pharmacy, the first such in the United States; his establishment of a graduate program which produced the first doctorates in the history of pharmacy in this country and thus provided a continuum in the interest in academic and professional (rather than purely avocational) history of pharmacy. It was Urdang’s Work and reputation that gave academic recognition and status to the history of pharmacy in the United States. To this reviewer, in whose personal career this academic respectability played a significant role, this accomplishment has not received the emphasis in the book that it deserved. To repeat, as one who knew, admired, respected, and recognized a professional debt to George Urdang, this reviewer welcomes this fitting tribute to him.